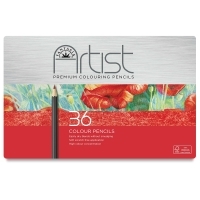 Each set contains a wonderful selection of quality artist pencils with extra-thick, blendable leads for high color concentration and high color depth. 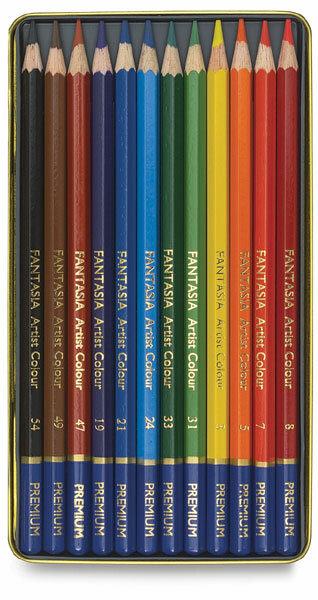 For even more creative fun, try combining the Fantasia Colored Pencils with watercolors or using them on surfaces other than paper, including wood, fabric, and board. 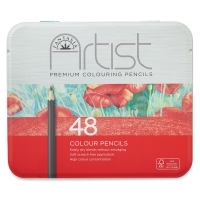 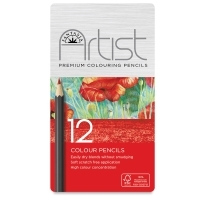 Pencils are pre-sharpened and packed into a reusable metal tin for storage and portability. 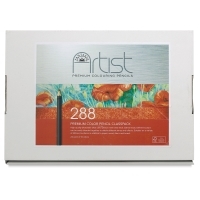 Classroom Pack of 288 — Contains 24 each of 12 colors, including Apple Green, Dark Green, Ivory Black, Light Green, Orange, Orchid, Prussian Blue, Red, Sanguine Brown, Sienna, Vermilion, and Yellow. 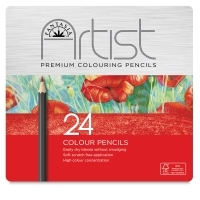 Set of 24 — Includes all of the colors in the set of 12, plus White, Dark Yellow, Burgundy, Pink, Red Violet, Cobalt Blue, Sky Blue, Apple Green, Pea Green, Ochre Light, Sepia Brown, Light Gray. 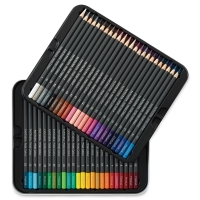 Set of 36 — Includes all of the colors in the set of 24, plus Lemon, Tan Light, Orchid, Violet, Indigo, Light Blue, Sap Green, Viridian, Olive, Ochre Gold, Sienna, Dark Gray. 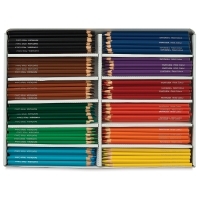 Set of 48 — Includes one each of Lemon, Dark Orange, Scarlet Lake, Red Orange, Delft Blue, Oriental Blue, Dark Blue, Dark Green, Grass Green, Indian Brown, Mid Brown, Black, White, Orange Yellow, Clarret, Pink Madder Lake, Magenta, Deep Cobalt Blue, Ice Blue, Light Green, Emerald Green, Dark Brown, Ochre, Light Grey, Zinc Yellow, Skin, Red Violet, Blue Violet, Ultramarine, Light Ochre, Light Blue, Apple Green, Light Brown, Olive Green, Turquoise, Silver Grey, Light Violet, Light Carmine, Magenta CR, Light Flesh, Dark Flesh, Silver Grey, Phthalo Blue, Aqua Green, Peacock Blue, Chrome, Red, and Indian Red. 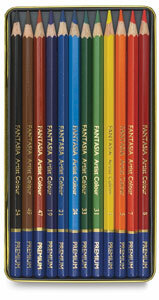 Set of 12 — Includes Yellow, Orange, Vermilion, Red, Blue Violet, Prussian Blue, Ultramarine, Grass Green, Dark Green, English Red, Sanguine Dark, Ivory Black.